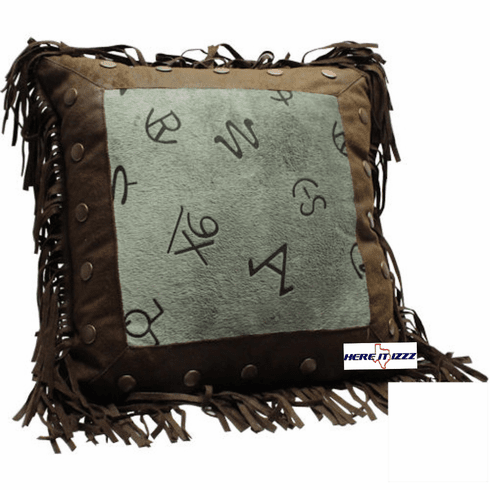 Multi cattle brands on the livestock branded Western pillow. Cowboys and cowgirls alike will love the look of our Western pillow branded with rocking R ranch. Throw several of these around the cattle trailer or Barn for a great Cowboy look.